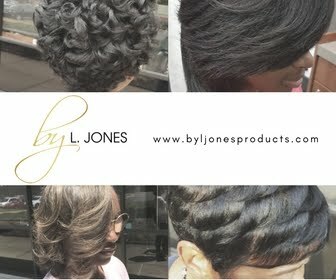 Many of my clients with relaxed hair ask me about getting color. 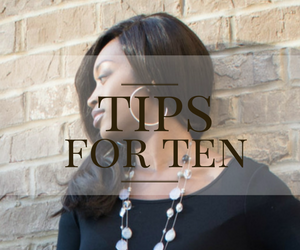 Since I specialize in healthy hair, I normally advise my clients against getting permanent hair color. The reason for this is because the hair often can not handle one chemical let alone two. Think about it. 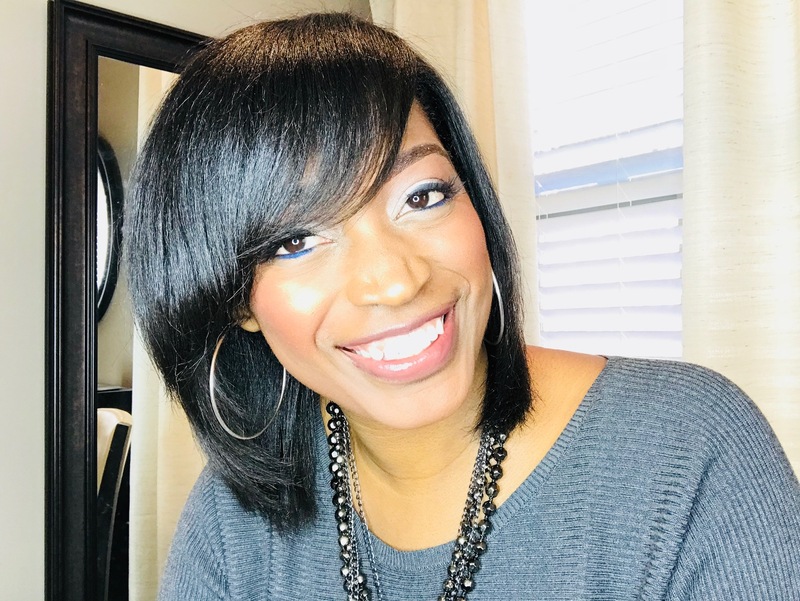 How many women do you know personally who have had damage from a relaxer OR color without having them both? I personally know quite a few! Now imagine how much that number increases when you have someone who has both chemicals. If you just have to have color on your relaxed hair I strongly recommend not going over two shades above your natural hair color. So, if you have black hair you have no business trying to get your relaxed hair colored blonde. The lightest you may be able to go without having any damage is dark brown. not only need to factor in the cost of the color, but also the cost of the upkeep. 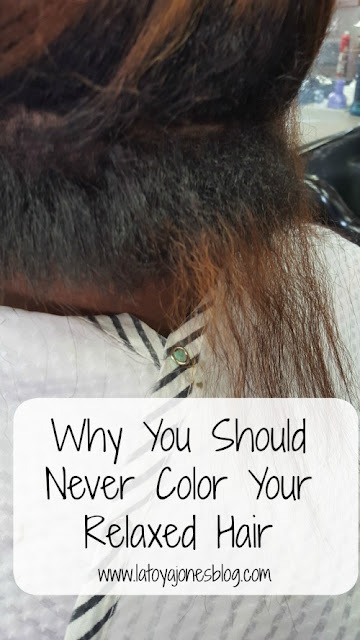 Not taking proper care of your relaxed hair that has been permanently colored is the main reason why you should never color your relaxed hair. 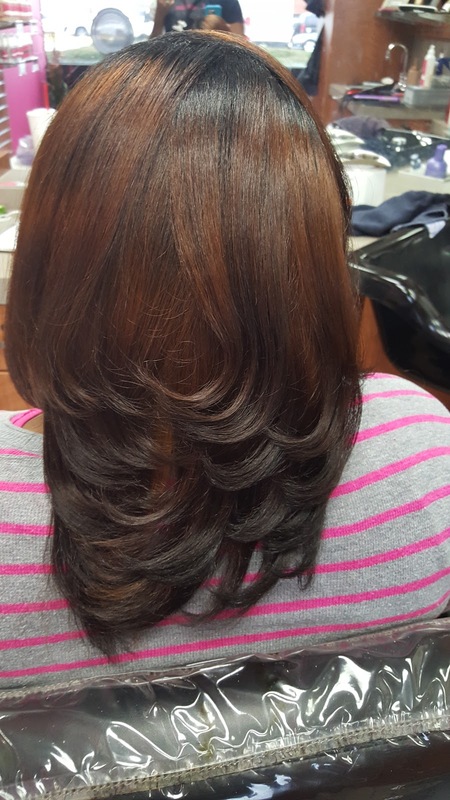 Semi-permanent colors are great for relaxed hair and are perfectly safe but they do not lighten your hair at all. They simply deposit color meaning they will match the color of your hair or color your hair darker. That is why you could even get a semi-permanent color and a relaxer on the same day and not have any damage. 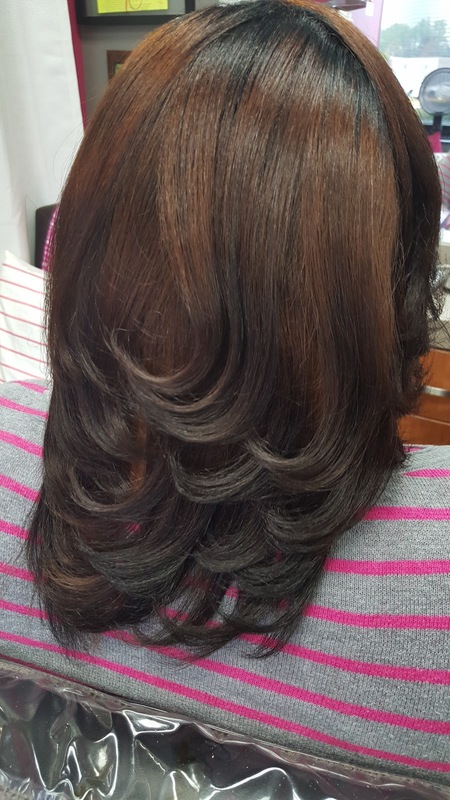 The client featured in this post learned the hard way about having a relaxer and getting it permanently colored. 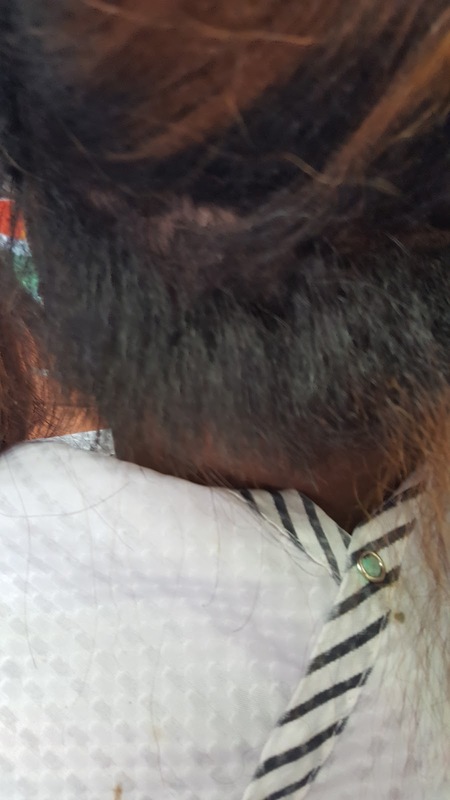 She went to another stylist to have her color done, and her hair broke off in the back right where they stylist applied the color. Luckily it is a spot in he back of her head and not the front where it would be very obvious. Since she has started coming to me I told her that I would not do any more permanent color on her. Instead we keep it moisturized by using the Silk Hydration by L. Jones Replenishing Conditioner and the Intense Moisturizing Treatment. I also put a semi permanent color on top to help seal in the color so the hair won't start looking dried out. In conclusion, is this client's hair pretty with permanent color? Yes. 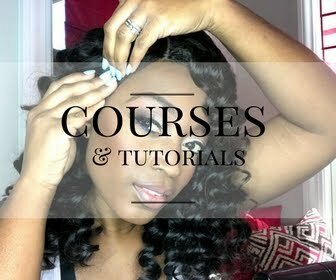 But if you were to get permanent color on your relaxed hair, how do you know where your breakage will be? You might not be as lucky as this client and have it happen only in the very back. Yours could happen all around your edges, in the crown, in the very front, or somewhere else noticeable. It's like walking in a mine field, you never know. So my advice on getting permanent color on your relaxed hair is DON'T!